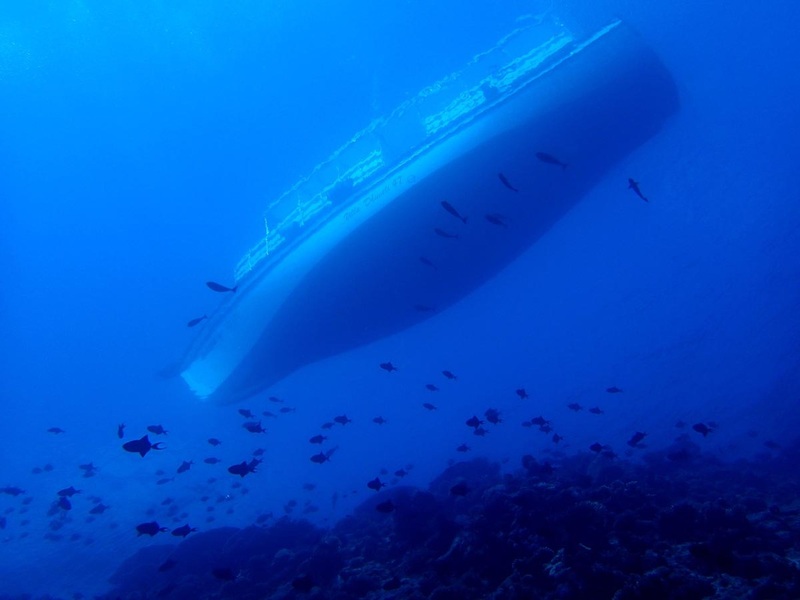 Underwater visibility is regarded to be good when it is 30 meters or more. Many times is the visibility reduced because of particles and plankton in the water. Plankton is an important food for many fish species, from the small Basslet to the mighty Whale Shark. It is therefore an advantage to dive in waters with reduced visibility, because you will see more fish, and if you are lucky – Whale Shark. Particles in the water is a disadvantage for the photographer, as the flash will cause the particles to stand out as white dots on the picture. Many of my pictures have been ruined because of this. More seriously is the fact that reduced visibility increases the risk of loosing contact with your buddy and group. A consequence of this might be that you loose the opportunity to take as many pictures as you wish, because you cannot stop if your buddy is ahead of you and not aware of your intentions. If you loose contact with your buddy, the procedure is to search for him/her for a minute. If you don’t see him/her, you have to finish the dive and ascend to the surface. Sometimes may it appear that your buddy has vanished; you look to left, right, below and behind, but he/she is nowhere to be seen… until you look straight up! Boats above you appears to be soaring in the sky when the visibility is good and the sea is calm. 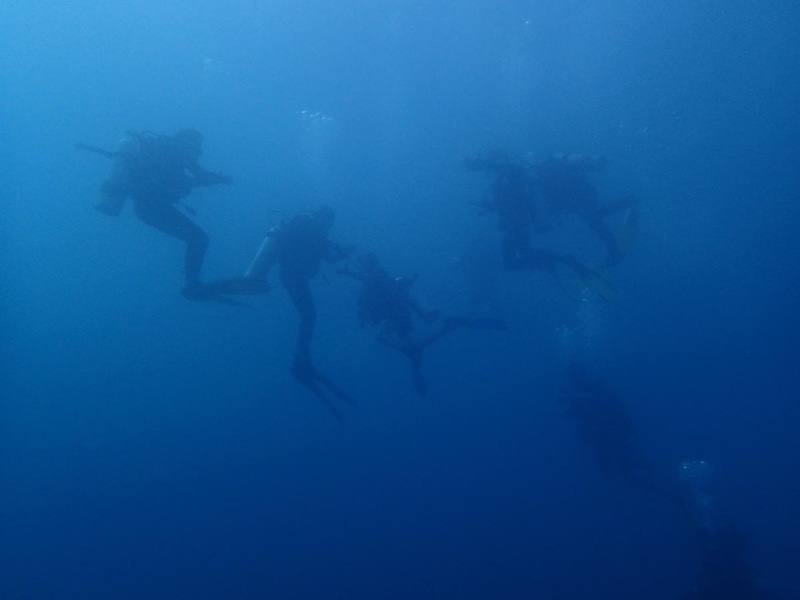 When diving in reduced visibility is it important to stay close with your buddy and the group. How many divers do you see on this picture?